Written by Anthony Kuo & Ming-Sung Kao. With regards to the size of Taiwan (35,883 km2), which sits somewhere between Belgium and the Netherlands, one may expect Taiwan’s Foreign Direct Investment (FDI) patterns to resemble those of Hong Kong, Singapore, or Ireland. In these countries, foreign firms play a vital role in the domestic economy. 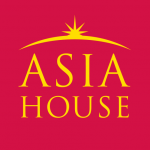 Taiwan’s neighbouring emerging economies in the Asia Pacific region, such as China, the Philippines, or Malaysia, have continued to attract significant amounts of foreign investment. In those countries, for different reasons, FDI inflows have been far higher than FDI outflows. 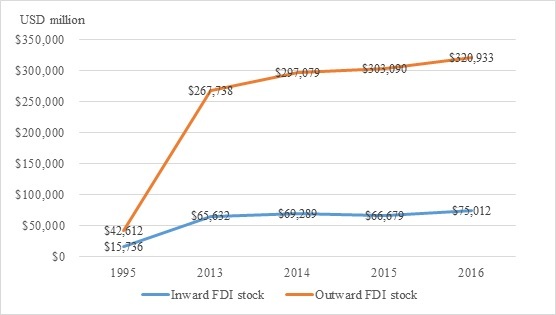 Taiwan’s FDI, contrary to the above countries, exhibits a totally different pattern—its outward FDI (OFDI) flows and stocks have exceeded inward FDI (IFDI) flows and stocks for many years (see Figure 1 and Figure 2). Several factors have probably contributed to this unique pattern. First, unlike many other emerging markets, Taiwan lacks natural resources, which is usually a pull factor in attracting FDI. Second, the structure of capital inflows to Taiwan have been gradually changing over time—inward FPI (foreign portfolio investment) has been outstripping IFDI since 1993. Compared with other countries around the world, the patterns of IFDI/OFDI in Taiwan highly resemble Asian countries such as Japan and South Korea, as well as European nations, Germany and France, whose OFDI flows and stocks have consistently exceeded IFDI flows. In those countries, business firms, including multinational enterprises (MNEs) and small and medium enterprises (SMEs), from various industry sectors, play a significant role in the global economy and invest broadly in different countries. Taiwan’s high FDI outflows are, similarly, contributed by such globally minded domestic business firms. Taiwan is strong in manufacturing. Taiwanese manufacturers have gained significant ground in the global supply chains, especially in IT and electronics. A study indicated that more than 90% of laptops produced worldwide are manufactured by Taiwanese contract manufacturers. Numerous components within personal computers and cell phones are manufactured by Taiwanese firms, and global brands like HTC, Acer, Asus and MSI are all Taiwanese. The importance of IT and electronic manufacturing in Taiwan’s economy is reflected in the country’s industrial structure and Taiwanese MNEs on the Fortune Global 500 list. It is reported that electronics and information technology accounts for 35% of industry in Taiwan. On the 2017 Fortune Global 500 list, six Taiwanese MNEs were included—Hon Hai Precision Industry (better known as Foxconn Technology Group, ranked 27th), Pegatron (ranked 296th), Taiwan Semiconductor Manufacturing (better known as TSMC or Taiwan Semiconductor Manufacturing Company, ranked 369th), Quanta Computer (ranked 390th), Cathay Life Insurance (ranked 411th), and Compal Electronics (ranked 458th). Cathay Life Insurance is the only firm from the financial sector; all others are from the IT/electronics manufacturing industry. According to statistics by the Investment Commission, Ministry of Economic Affairs of Taiwan, IT/electronic (including electronic parts and components, computers, electronic and optical products) manufacturing accounted for 29.6% of Taiwan’s non-financial outward FDI flows in 2017, far higher than the wholesale and retail industry, which in second place only accounted for 16.2%. 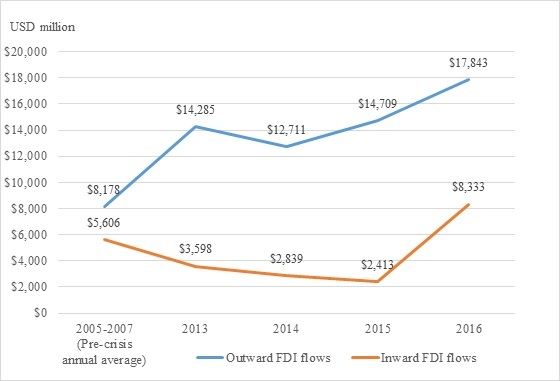 As income levels have risen rapidly in Taiwan, Taiwanese firms off-shored their production activities to countries with lower wages and expanded their geographic coverage in their international operations, leading to high outward FDI flows. China, the world’s ‘factory’, has been the most important target country of Taiwan’s outward FDI since the late 1980s and early 1990s. In 1992, the government of Taiwan partially removed the restrictions on direct investment in China. However, a study conducted by the Metal Industries Research & Development Centre in Taipei estimates that China might have attracted over $2 billion USD in investment from Taiwan in the 1980s, about 40% more than Taiwan’s outward FDI to all other economies in the 1980s ($1.46 billion USD), thus making it the most popular target location of Taiwan‘s outward FDI for the past three decades. The attractiveness of China can be explained by two factors. First, China’s abundant supply of low-cost labour is attractive to Taiwan. Another important factor is the cultural links which have been maintained despite the political separation between Taiwan and China; language and cultural similarities, as well as family networks, have both been important in the choice of China as a destination for FDI. 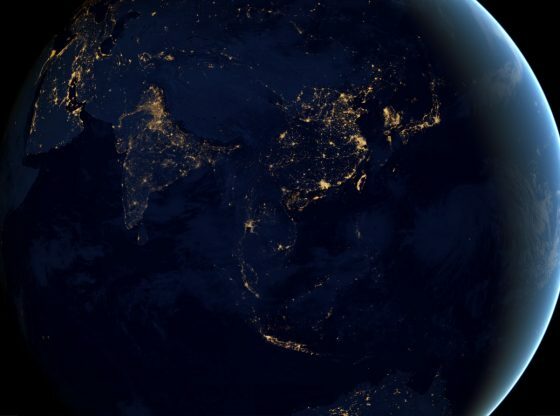 However, the shift in China’s role from the world‘s ‘factory’ to the world‘s ‘market’ may alter Taiwan’s strategy, as well as the geographic and industrial distribution of Taiwan‘s OFDI. As wages continue to rise in China, Taiwan’s OFDI will likely change. The impact of the New Southbound Policy initiated by the Government of Taiwan to enhance cooperation and exchanges between Taiwan and countries in Southeast Asia, South Asia, Australia and New Zealand, has resulted in many Taiwanese firms shifting their investments to economies with even lower wages, such as Vietnam, Thailand, Malaysia, and the Philippines, whom rank 5th, 7th, 8th, and 10th respectively in the top 10 target country of Taiwan’s outward FDI in 2017. On the other hand, China’s well-established supply chains, along with the draw of its domestic market, will continue to attract Taiwanese investment, and is still the most popular target country of Taiwan’s OFDI in 2017 (although the amount of investment fell by 4.8% compared to 2016). Table 1 and Figure 3 shows the breakdown of Taiwan’s outward FDI flows in 2017 by location. 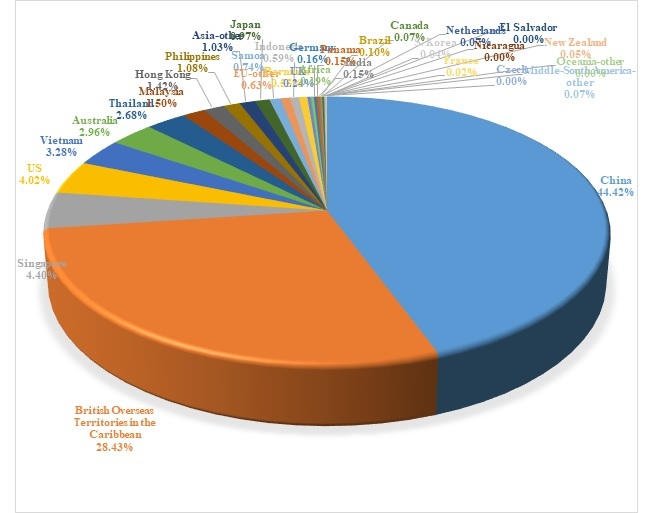 China is still the main investment destination, while British Overseas Territories in the Caribbean are the second most popular area to invest (with the majority, around 65%, of the investments from the financial sector). Looking ahead, as trade frictions between the United States and China intensify, there is increased uncertainty over the future of the continuation of Taiwan’s OFDI to China. Anthony Kuo is the Associate Dean of College of Management and a Professor of International Business at Fu Jen Catholic University in Taipei, Taiwan. Ming-Sung Kao is Assistant Professor of International Business at Fu Jen Catholic University in Taipei, Taiwan. Image credit: CC by Taiwan Scenery Gallery/Flickr.